This page comes from Eugenio Ragazzi, a Professor at the University of Padua in Italy. 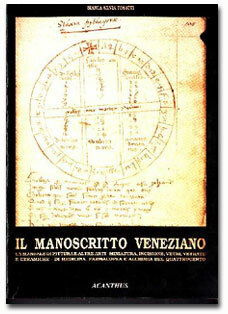 A 'recent' book, published in 1991 (author Bianca Silvia Tosatti, see reference at the bottom of this page) discusses an ancient manuscript, named "Manoscritto Veneziano" (Venetian Manuscript) found in the British Library, London, written around 1424-1456. It is in ancient Italian and partly in Latin. The original frontispiece has hand-written words in *ancient* English (added more lately, probably in the 17th century): "An anchant writen Booke" and "Receitts & directions in curing diseases, dying, making glass, soap, etc., most part in Italian". Interestingly, a few lines present: "A fare ambro", that was translated in ancient English "To mak Amber". There is an accurate description of a method to prepare a "synthetic" material resembling amber! gut of an ox or of a pig; clean the gut and turn it inside out; put the albumen inside and tie the gut; boil for a little, then take out the albumen that will be solid, cut it in the shape you want, grease with linseed (flax) oil and expose to the sunlight. Grease again and expose to the sun for 6 days. The more linseed oil you add, the more the "amber" will become coloured; the more it stays under the sunlight, the more strong it will become. I have read also of another very similar method reported in an article appeared in the Italian scientific Journal, La Chimica e l'Iindustria L Reti, "Le arti chimiche di Leonardo Da Vinci", XXXIV (12), pp. 721-743, 1952. 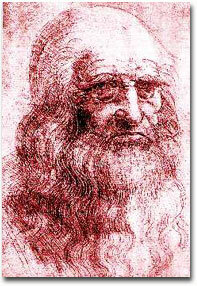 This goes over a review of the chemical arts of the famous ancient scientist Leonardo Da Vinci. The Codex in which there is Leonardo's recipe for making amber is "Codex Forster III, fol. 33v. (dated 1490-1495) Leonardo wrote his recipe (looking at the date, Leonardo's recipe might have been copied from the "Venetian manuscript"); it is shorter than the other, but again reports the use of egg albumen inserted into a piece of gut and boiled. He added a tip: "You can paint the material, then you may add other albumen and repeat the procedure". (Who knows that in this way one would have embedded also some insect inclusion!!!!). The exact recipe in Italian written by Leonardo: "Per fare ambra adiasparata, togli chiara d'ovo e falla mettere in un budello e la bolli; indurita che e' dipingi le macchie, poi la rivesti d'altra chiara e rimmetti in un maggior budello". My word-for-word translation: "To make amber "adiasparata(? )", take the white of an egg and put in a gut and boil; when it is hardened, paint spots, then cover with other white of egg and put again in a larger gut". The word "adiasparata" is not modern Italian and I'm not sure what it does mean; it may be "like jasper"? I also found in the same review, a quotation of an "Amber varnish" ("Vernice d'ambra") suggested by Leonardo Da Vinci in another Codex, called Atl. 79 r.b. (written about in 1490). It Probably is the type of varnish for painting. No further details were presented in the article. For further information, please contact Eugenio Ragazzi. - Di medicina. farmacopea e alchimia del Quattrocento". Acanthus Carma, Milano (Italy), 1991 (288 pages).